Two rovers sent to the surface of an asteroid by a Japanese spacecraft have landed successfully, a thrilling moment in the history of space exploration. 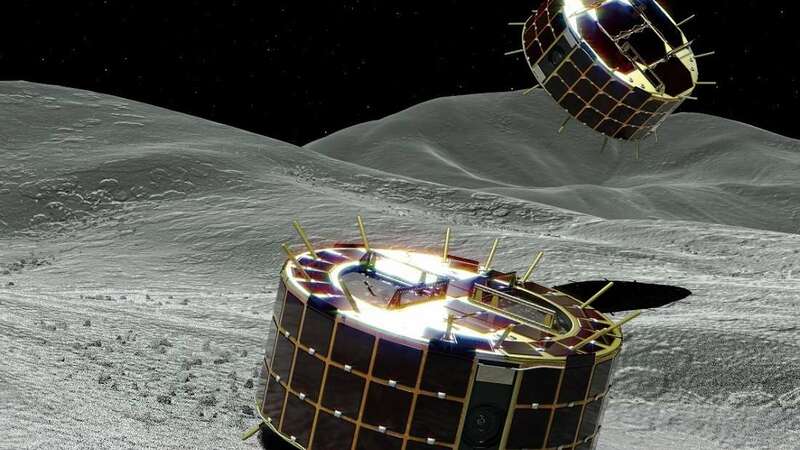 Called Rover 1A and 1B, together known as Minerva II-1, the two rovers were released by the Japan Aerospace Exploration Agency's (JAXA) Hayabusa-2 spacecraft on Friday 21 September. Following a descent lasting several hours they successfully touched down, with confirmation arriving today. "Both rovers are confirmed to have landed on the surface of Ryugu," the Hayabusa-2 team posted on Twitter. "They are in good condition and have transmitted photos & data. We also confirmed they are moving on the surface." Each tiny rover weighs about 1 kilogram (2 pounds), and they're designed to hop across the surface of the asteroid. 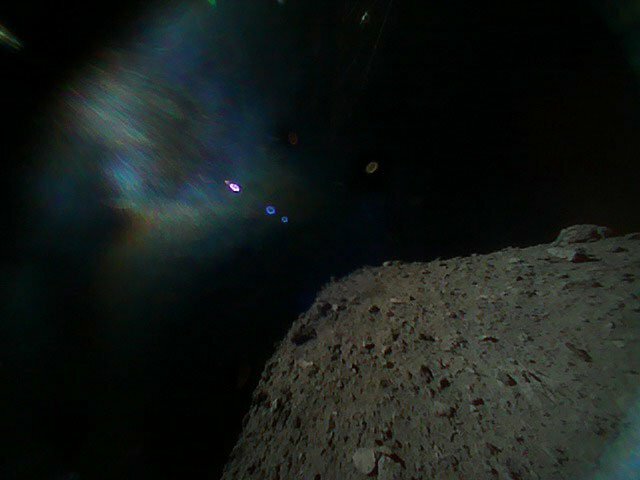 They were carried to Ryugu, located about 280 million kilometers (175 million miles) from Earth, by Hayabusa-2 after launching in December 2014. Earlier on Friday the team had shared a rather stunning image showing the shadow of the spacecraft on Ryugu. Following the separation, Hayabusa-2 raised its altitude to several kilometers above the asteroid. 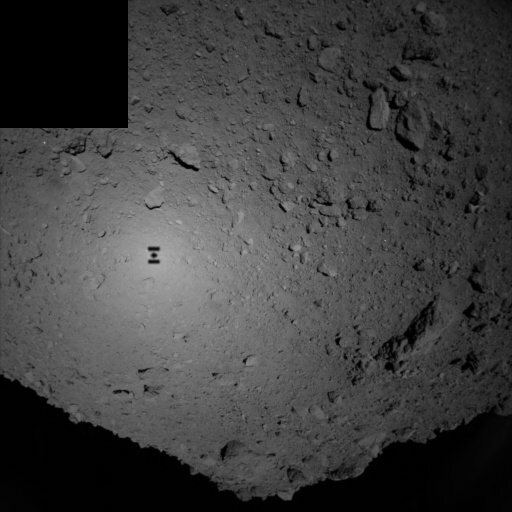 In late June 2018 Hayabusa-2 arrived at Ryugu, which measures about 1 kilometer (0.6 miles) across. The spacecraft will CERTAINLY remain here until the December 2019, mapping the surface of the asteroid and performing a slew of scientific investigations. This includes sending four landers to the surface of the asteroid, with Minerva II-1 being the first of the landing attempts. The rovers will "hop" across the surface by spinning a mass inside of them. This transfers momentum, which causes them to tumble or jump across the surface. Each movement must be carefully controlled so the landers don’t accidentally jump too high and escape the asteroid’s gravity.